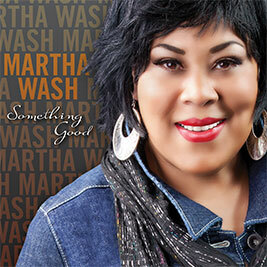 People who sing as good as Martha Wash tend to get heard – if not always seen. That’s why Wash has been a mainstay in the music business for more than 30 years as both a backing and lead vocalist. If you were dancing in a club, in a fitness class or as a member of a performance dance troupe, you likely heard Wash’s powerful voice booming through the speakers. Wash provided the backing vocals for many of Sylvester’s disco based hits in the late 1970s. She continued making dance music along with Izora Armstead as a part of the duo Two Tons ‘O Fun (or The Weather Girls). Their biggest hit, “It’s Raining Men,” became an anthem for the single ladies and gay men. Wash provided the power-packed vocals for a series of up-tempo dance groups in the 1980s and 90s. Her voice propelled Black Box and C+C Music Factory to Top 40 success on songs such as “Everybody Everybody” and “Gonna Make You Sweat.” I guarantee you that if you’ve been to any sporting event in the last quarter century, you’ve heard those two numbers. Wash may have been the voice of those two groups, but she would not be the face. The videos for those songs featured models that lipped synced the songs instead of giving the full-figured Wash her due. To add insult to injury, the bands tried to stiff Wash on her royalties. Fortunately, Wash sued and was able to be compensated. She has continued to work and build on her reputation as a dance music queen. It’s not clear to what extent that Wash’s travails in the music industry inspired Something Good, her new album in which she moves away from dance music and embraces rock covers as well as inspirational anthems and love songs along the lines of Celine Dion. Familiarity with Wash’s history provides an added layer to poignancy and power to a tune such as “It’s My Time.” The anthem that sports a propulsive bass line is as close as Wash comes to the dance hall. The track implores listeners to preserve and stay true to their goals. “Keep on walking your own path/never let anyone hold you back/when you feel like giving in/you get back up and try again and again.” That’s a hook tailor made for an artist who experienced more than the usual amount and types of rejection and remained in the game while those who tried to keep her down are mere footnotes. 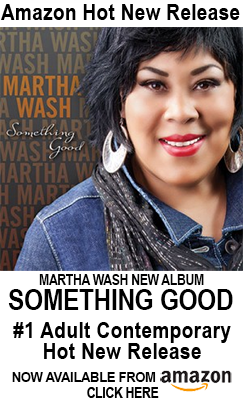 Wash is a veteran whose voice has achieved legendary status in the music industry. She is the prototypical backing vocalist, and it was easy for her to be shoved into the background in this image conscious industry. Wash moves firmly into the foreground on Something Good. She does so by making a 180-degree turn from her dance queen days while also displaying a dexterity that will lead many to understand that this very talented artist is at home in whatever genre she chooses to place her musical hat. Recommended.